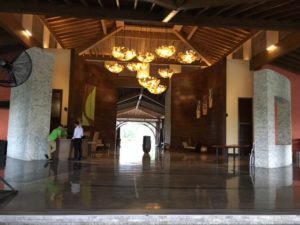 A five star eco resort with a World Class designer golf course. Indura offers exclusive luxury in its 60 rooms, which are spaced out within a coastal forest. A lovely pool, gourmet restaurant and outstanding meeting facilities complement the resort. Entrance to Indura is limited and you must have a reservation to be able to gain access. It is on one of the nicest beaches in mainland Honduras, within the realms of Punta Sal National Park. It is between the Garifuna communities of Tornabe and Miami. Prices at Indura are expensive, as you would expect in a luxury golf resort. This is the most expensive of all Tela hotels. The golf course is a Gary Player design par 72, 18 hole championship course. The Indura Golf course is already part of the Latin America PGA circuit! Telamar is the most recognized of all beach Tela hotels. It has been around for as long as anyone recalls… Originally the old gated community where the executives of the Tela Railroad Company used to live. Telamar became a hotel when the company headquarters where moved to La Lima, adjacent to the San Pedro Sula International airport 50 years ago. The hotel originally used the old wooden homes that belonged to the fruit company. However a total renovation actually took out many of these old buildings. New buildings with the old banana era architecture were built in its place. There are still a few of the old banana era building structures within the premises. Telamar offers an optional all inclusive operation. The resort has the largest pool in Tela, several restaurants and access to one of the best beaches in the Caribbean. It offers 273 luxury rooms and suites with all the amenities you would expect in a quality beach hotel around the world. Telamar also features the original 9 hole Tela Golf Course. This historic golf course was built by the Banana Company for the use of its executives. If you do not want an all inclusive package at Telamar, you can alternatively book a room and pay for your extra expenses depending on your consumption. Telamar Resort is easily the most popular of Tela Hotels. A lovely setting on the eastern end of the Bay of Tela, La Ensenada has the best meeting facilities in Atlantida. Two large pools, a lovely beach, a great dock and extensive gardens make this a unique property. With 154 rooms and suites which are spacious and luxurious, the resort operates exclusively with an all inclusive system. Day access can be arranged with a fee. La Ensenada is one of the most exclusive Tela hotels. Located right on the beach in downtown Tela, Cesar Mariscos offers one of the nicest alternatives if you want to enjoy the beach and have access to the different restaurants and bars in Tela. It is on the pedestrian beachfront street, where you will find diverse eateries and bars and where you will see the locals enjoying their locally famous beach. A nice pool that overlooks the pedestrian beach is on the second floor. From there, enjoy outstanding beach views and privacy from the street. With a total of 20 rooms, each individually appointed and some with a balcony facing the beach, facilities are pleasant, clean, comfortable and affordable! This is one of our recommended Tela hotels. They also feature one of the best restaurants in Tela. The Hotel Sherwood is right on the beach, opposite of Cesar Mariscos. The hotel offers a variety of services, including a full service restaurant and bar and nice beachside pool. The property offers a total of 34 hotel rooms. The hotel is in the process of renovations that should bring it back to its old glory. 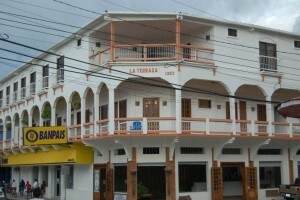 Named after its owner and founder, Sherwood Bonilla, it is a property with character and certainly a reference in Tela. 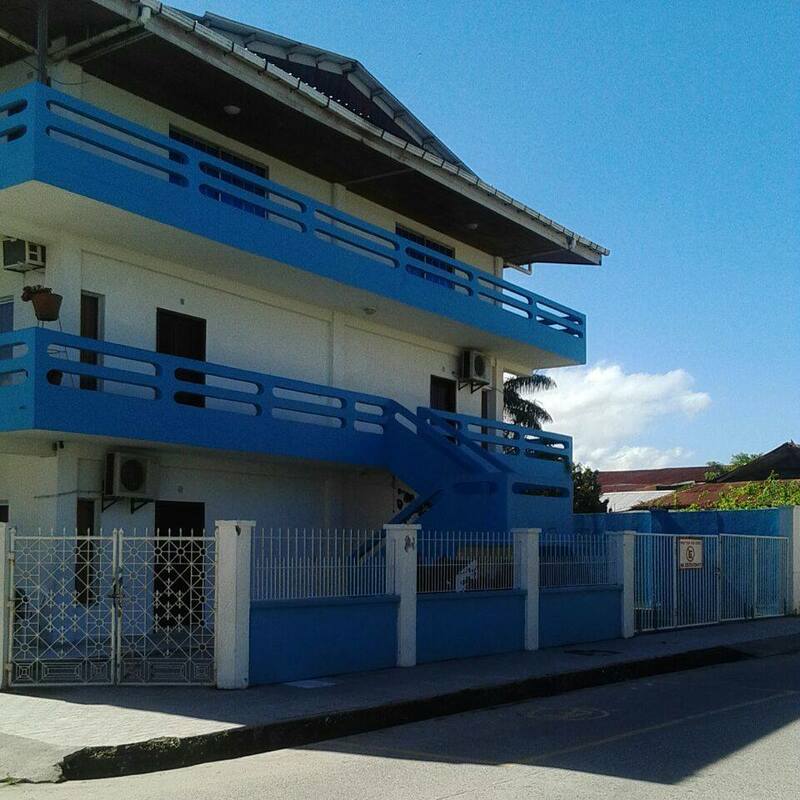 A lovely boutique hotel in Tela offering nice villas that are reminiscent of the old banana republic architecture that is so prevalent in Tela. With a total of 7 rooms distributed in 4 villas, all surrounding a lovely garden with a pool, this is the perfect spot for a family or a group of friends looking for some privacy. 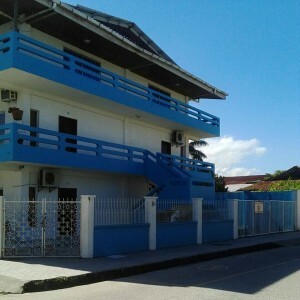 Its location, close to the beach and close to the restaurants is ideal. Posada Las Iguanas is a gem of a little hotel in Tela. Although not on the beach, the hotel Playa Bonita is one of your best alternatives when deciding on Tela Hotels to stay in. Located only half a block from the ocean, access to the beach is fast, easy and safe! The hotel has a small pool, a cozy restaurant bar area, and 12 lovely rooms. Playa Bonita is one of the best deals in town! Owner, Carlos Aragon is usually on premises and always a great source of local information and great hospitality. If you are looking for a large room for an extended family stay, or for a group of friends, this just might be your best option. Aparthotel Ejecutivos offers a total of 16 small apartments and rooms for rent. Very clean facilities, good central downtown location and very friendly staff. The apartments offer a full service kitchenette with can allow you to save some money by not having to eat out all the time. Certainly one of the best deals in town! Very affordable! Mayavista is one of the most unique of all Tela Hotels. Located on a hilltop, the property has a vantage point offering the best views of the Bay of Tela. Rooms are clean, with all the amenities you need. Mayavista has lots of space in different decks offering areas where to relax in a hammock, enjoy the cool breeze coming off the Caribbean and delight in the magnificent views. Mayavista also offers one of the best restaurants in town, and the perfect spot to sip your favorite cocktail as you watch the sunset out over Punta Sal peninsula. Pierre, the owner is extremely friendly. English, French and Spanish are spoken in this hotel. 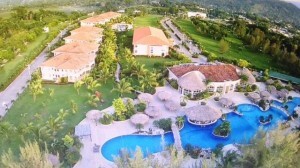 Next to the beach, Veromar is a family owned property that has been adding on new wings and areas over the years. As a result, it is not the nicest looking property in town. Some rooms are better that others, but they are usually quite plain and basic. In total, Hotel Veromar offers 50 rooms, a pool, a restaurant and bar. Although some rooms do have an ocean view, and there is no large construction between the hotel and beach, it is not really beach front. The beach is one block away, so is certainly is within walking distance. Enjoy the charm of a beach front Garifuna Village staying at Caribbean Coral Inn. Located in the Garifuna Village of Triunfo de La Cruz, just a few kilometers east of Tela, and right on the Bay of Tela, Caribbean Coral Inn offers a back to nature experience, with comfortable, clean but Spartan rooms, great cooking and outstanding hospitality. Rooms look and feel like Garifuna huts next to the beach. This is by far the best option to spend the night within a Garifuna Village in Tela. Your hosts, Emilio and Carolina will look after you and offer insights as to what to do and where to go in the surrounding areas. A great way to experience the beaches of Tela. A nice, small and intimate 10 room hotel located right on the beach. It is not downtown, which makes it a lot quieter and pleasant; I truly do not like crowds! The property includes a nice swimming pool, a restaurant with a great ocean view and a bar. Capitan Beach Hotel is good medium range beach hotel option. A new, self contained eco property that few people in Tela know or have heard about. Los Olingos is a true gem of a property. Located right on the shores of Los Micos Lagoon, the largest natural salt water lagoon in Atlantida, Los Olingos offers comfortable rooms in authentic old Banana Company residential homes, with all the original luxuries and details. These wooden homes are carefully spaced around the property, with the sites having been chosen to take advantage of the natural breeze and the outstanding views. Friendly hospitality, great cooking and a quiet, safe environment make it ideal to disconnect from life and enjoy nature, as well as for great family meetings or closed seminars. Although the preferred route towards Los Olingos follows the coastline from Tela to the Garifuna community at Miami, and then a boat ride through the mangrove canals to the main lagoon, access via land through a series of African Palm plantations is also possible. Los Olingos is one of the nicest Tela hotels to choose from. Located at the beaches between Tornabe and San Juan Garifuna Communities. A residential development that includes several hotel rooms in addition to fully furnished beachside homes, Honduras Shores Plantation offers an idyllic setting right on the beachfront on the Bay of Tela. While not all the villas are on the beach, the facilities include a large pool with a spacious restaurant and bar offering everything you would want to enjoy next a beautiful tropical beach on the Caribbean Sea. A gem of a hotel. Really nice spacious rooms and suites, all decorated with unique paintings by local artists. The location is out of town, so you will need a car to go into town if you need something, but then again, why would anyone want to go into town when you have everything right there? Access to a nice beach, a pleasant pool, a full service restaurant, wifi. If you want to enjoy the beach, and do not want to be in the middle of hustle and bustle, especially during the hot months of March through May, when Tela’s beaches fill up on the weekends, then a place like Grissy’s Hotel is absolutely perfect! Right downtown, on the main entrance to Tela. The Hotel Marsol offers the convenience of easy access to everything you need in Tela. Beaches, national parks, downtown restaurants, golf courses, etc. Rooms are impeccably clean, and service is very friendly. They also offer the only PADI dive facility in Tela, featuring certification courses and diving to the magnificent Capiro Reef. This reef was recently discovered off the Bay of Tela and is in outstanding conditions. Tela Dive Center also offers a variety of tours to the National Parks around Tela. Anexo Cesar Mariscos is only two blocks from the beach. An extension of the famous Cesar Mariscos, but offering more competitive pricing, the Cesar Mariscos Annex offers the same outstanding service, with its own pool and a great location that is within walking distance of the beach and the Cesar Mariscos Restaurant. Another property owned by Mr. Sherwood Bonilla, but not on the beach. Personally, I don’t like the feel of the building. It is bit convoluted, with steep stairs, narrow hallways, small rooms. The prices however are right, and the location, only one block away from the beach is great too! Downtown and right on the beach, the Hotel Puerto Rico offers some of the most budget accommodations on the beach in Tela. With 25 rooms, each with a private bath, air-conditioning and TV, the hotel does not offer much more. No internet and no hot water. There is a restaurant and bar overlooking the beach which offers typical food, including fried fish with plantains.